In the State of Oregon a rebellion has broken out after two farmers were sentenced to five years in federal prison for starting a preventative fire on their own land. The government charged the ranchers as terrorists. Revealing, because resistance to Government overreach is only called terrorism by dictators. UPDATE: For many people it has become incomprehensible that someone should be willing to kill or be killed for his values. Pacifists and many Christians draw the line at being killed. Altruism demands sacrifice, but to kill is a huge nono. The Nihilist Left have given up on values altogether. They want peace at any price which rather ironically, is leading straight to the grave. Whether we like it or not, power comes from the barrel of a gun. Freedom isn't free. 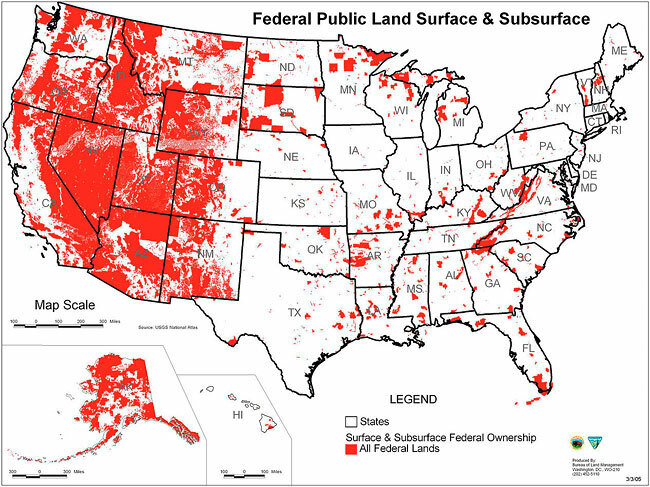 The US federal government’s claimed ownership of nearly 650 million acres of land, almost 30 percent of the area of the United States. (VIDEO) AGENDA 21 FOR DUMMIES (SOURCE). The principle at work is basically the reservation concept. The population is concentrated in urban areas, while federal agencies rule over federal lands as virtual tyrants. @BFriedmanDC @jenn_ruth McVeigh wasn't part of a militia get your facts straight. He was a mentally disturbed man with revenge on his mind. USA Armed Militia Overtake Federal Building. In October the Obama administration sentenced two Oregon farmers to five years in federal prison for starting a preventative fire on their land. The fire spread to federal land and burned less than 140 acres. The government charged the ranchers as “terrorists.” This is an example of gross government overreach, and the public should be outraged. A parade of militia members and Harney County residents marches up Court Avenue to show their support for the Hammond ranching family. Then after the march 150 militiamen took over the Malheur National Wildlife Headquarters in Oregon to protest the prosecution of the two ranchers. MILITIA UPDATE: Sheriff Dave Ward: "Militants drove to the Malheur Wildlife Refuge, where they seized and occupied the refuge headquarters." Ammon Bundy posted a video on his Facebook page calling on patriots from across the country to report to the refuge – with their weapons. Americans Dump Obama's Socialism, Big Time!